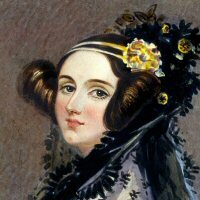 It was good to see Ada Lovelace Day attracting a large amount of press coverage this year. The international day of celebration, which was held on 15 October, has been running for only 4 years and aims to raise the profile of women in science, technology, engineering and maths by encouraging people around the world to talk about the women whose work they admire. This year’s Nobel Prize also attracted similarly high levels of press attention, particularly here in the UK as a result of the Physics prize having been awarded to Professor Peter Higgs of Edinburgh University. Unfortunately, there isn’t a Nobel Prize in Engineering. The closest we have to it is probably the Queen Elizabeth Prize for Engineering which was awarded for the first time in June. The inaugural prize was jointly awarded to Robert Kahn, Vint Cerf and Louis Pouzin for their contributions to the protocols that make up the fundamental architecture of the Internet, Sir Tim Berners-Lee, for inventing the World Wide Web, and Marc Andreessen, who wrote the Mosaic web browser. All five richly deserve their award, as the Internet and World Wide Web have in the words of the judges “initiated a communications revolution which has changed the world“. Ada Lovelace is also worthy of honour. Known as the Enchantress of Numbers, she was the person who contributed most to our understanding of Charles Babbage’s Analytical Engine through her notes of 1843. Her contribution may have had less of an impact than that of the five people mentioned above but she is an excellent role model and there is little doubt that she would have played a pivotal role in putting the machine to work had Babbage actually succeeded in constructing the Analytical Engine. This got me thinking about who I would pick as my own hero amongst the many hundreds of contributors to the development of the computer featured in my book. In terms of engineering, it would have to be the American electrical engineer J Presper Eckert. 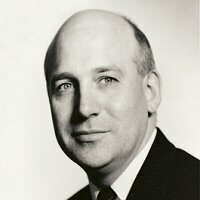 Eckert’s name is associated with several of the most significant innovations in the early years of electronic computation, including the mercury delay line, magnetic drums and disks, the electrostatic storage tube, magnetic core storage and the stored-program concept. He and Moore School of Electrical Engineering colleague John W Mauchly were also responsible for the development of the first general-purpose electronic digital calculator, ENIAC, and the UNIVAC I, which was the most influential of the early large-scale computers to reach the market. Presper Eckert was not only a highly successful engineer. He also co-founded the Eckert-Mauchly Computer Corporation, one of the earliest computer companies which was later absorbed into Remington Rand. Eckert died in 1995 as a result of complications from leukemia. Though not exactly an unsung hero, most of the awards he received during his lifetime were shared with John Mauchly and it is high time that he was recognised in his own right as one of the greatest engineers of all time. This entry was posted in Uncategorized and tagged Ada Lovelace, Presper Eckert on 08/11/2013 by Stephen J Marshall.